In recent years the memoir has come to the forefront of American literature as a popular form for both writers and readers. The best seller list is often clogged with memoirs, or, at least, books that claim to be memoirs. 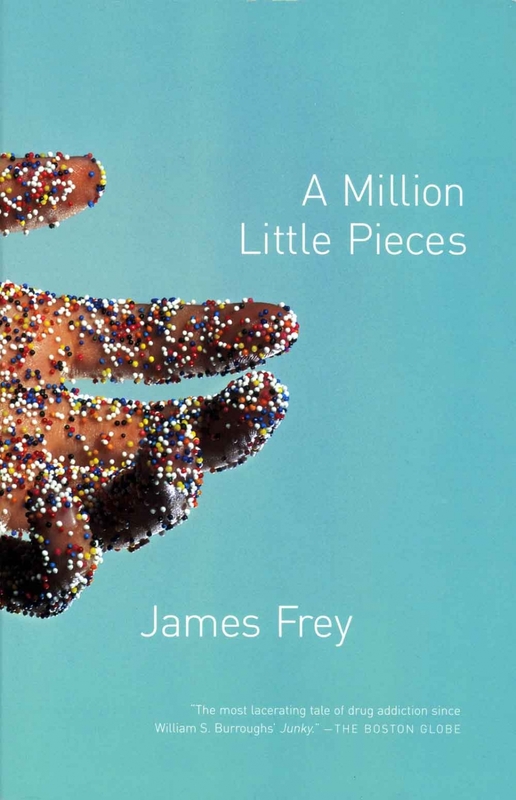 Despite the nagging question of how true any autobiographical information really is, readers nevertheless devour books like James Frey's A Million Little Pieces, which sold millions of copies after being endorsed by television icon Oprah Winfrey. The fear of being lied to does not stop Americans from craving confessionals. In an attempt to understand why reading and writing memoir has become so popular, this essay analyzes historical and critical evidence of the effects of reading and writing memoir in modern America while also contextualizing that evidence using the example of James Frey’s A Million Little Pieces. This piece identifies the use of memoir in American society as a cultural platform that directs and demands powerful emotions through the act of confession. In this context, the reasons that Frey would manipulate key aspects of his memoir are straightforward: in order to make the story more dramatic and compelling, to get his story published, and to sell many copies. In The Limits of Biography: Trauma and Testimony, Leigh Gilmore looks at the emerging popularity of memoir and its relation to trauma culture. Gilmore notes that “the literary market has proved a shaping force. Although it is unclear whether the market has led or followed, market demand currently encourages marketing practices such as subtitling an author’s first book “a memoir” when in previous years it might have been classified as fiction” (Gilmore, 2001). Gilmore points out that the market demand for memoir has forced the mislabeling of fiction as memoir in order to sell. The market demand for memoir has forced the mislabeling of fiction as memoir in order to sell. In order to sell more copies, publishers and authors label books as 'memoir' even when that classification may be, at best, a stretch. Driven by this market shift in the popularity of memoir, Frey manipulated the key factors that make memoir a potent and popular form. “Memoir echoes larger worlds. Every memoir reflects not only the individual but also the social, not only the personal but also the communal, not only the local but also the universal” (Gilmour, 1997). Gilmour notes that despite being personal to the author, memoir transcends the personal. He says that the tiny instance of life in memoir “echoes” the entirety of life. An echo is not the original but a manifestation of the original. It is this quality of echoing, the reproduction of the larger life in the memoir, that makes memoir so transcendent. Gilmour parallels the disparate individual and social and then reconciles them with the echo of life in memoir. Memoir connects people for Gilmour: it has a larger significance to humanity. It may be about a specific person but nevertheless applies to all humanity. Essentially, this transcendent quality makes memoir a highly relatable form of literature. “It remains probable that of all kinds of historical literature autobiography, at its best, may come nearest to the reality it tries to represent. The complicated tangle of causes and events which the historian of a nation must try to unravel may inspire brilliant speculative interpretations and yield, in part, to statistical studies and piercing insights, but the complete story of even a day in history radiates outward to infinity” (Shumaker, 1954). Shumaker shows the incredible web of writer, reader and text in autobiography. The historian interpreting causes and events on a broad scale may come up with something clever about a subject, but for Shumaker it is the story of a day in history that has global significance. It is again the echo that becomes important. The story of a day can relate to all humanity, “outward to infinity” and provide a deeper insight that the statistical analysis of the historian. It encapsulates all humanity, reader and writer and “radiates outward” to apply to things greater than one single day or one single person. Once again, there is a certain outward movement that makes memoir important. It is this outward movement that makes memoir so popular as a window into humanity. Adams, Timothy Dow. (1990). Telling Lies in Modern American Autobiography. Chapel Hill: The University of North Carolina Press. Anderson, Linda. (2000). Autobiography. New York: Routledge. Berggren, E. G. A. (1975). The Psychology of Confession. Leiden: Brill. Frey, James. (2003). A Million Little Pieces. New York: N.A. Talese/Doubleday. Gilmore, Leigh. (2001). The Limits of Autobiography: Trauma and Testimony. Ithaca: Cornell University Press. Gilmour, P.,Dr.of Ministry. (1997). The Wisdom of Memoir: Reading and Writing Life's Sacred Texts. Winona, Minn: Saint Mary's Press. Kitromilides, P. M. (2010). Autobiography as political theory*. Il Pensiero Politico, 43, 81-86. A Million Little Lies. (2006). The Smoking Gun. Retrieved from: http://www.thesmokinggun.com/documents/celebrity/million-little-lies. Olney, James (1998). Memory and Narrative: The Weave of Life-Writing. Chicago: University of Chicago Press. Renza, Louis A. (1977). The Veto of the Imagination: A Theory of Autobiography. New Literary History, Vol. 4, No. 1, The Language of Literature. The Johns Hopkins University Press. Shumaker, Wayne. (1954). English Autobiography: Its Emergence, Materials, and Form. California: University of California Press. Smith, Sidonie, & Watson, Julia. (2010). Reading Autobiography: A Guide for Interpreting Life Narratives. Minneapolis: University of Minnesota Press. Svensson, T., & Randall, W. (2003). Autobiography. In R. Fernández-Ballesteros (Ed. ),Encyclopedia of Psychological Assessment.(pp. 121-124). London: SAGE Publications Ltd.
A Thousand Little Refunds. (2007). The Smoking Gun. Retrieved from: http://www.thesmokinggun.com/documents/crime/thousand-little-refunds. Morrison, Toni. (1987). The Site of Memory. In William Zinsser. (1998). Inventing the Truth: The Art and Craft of Memoir. Boston and New York: Houghton Mifflin Company. Edward A. Carr graduated in 2015 with a Bachelors degree in English from La Salle University in Philadelphia, PA.